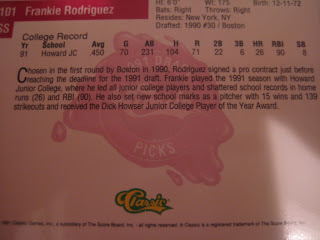 I have a bunch of cards from a somewhat obscure set called 1991 Classic Draft Picks. 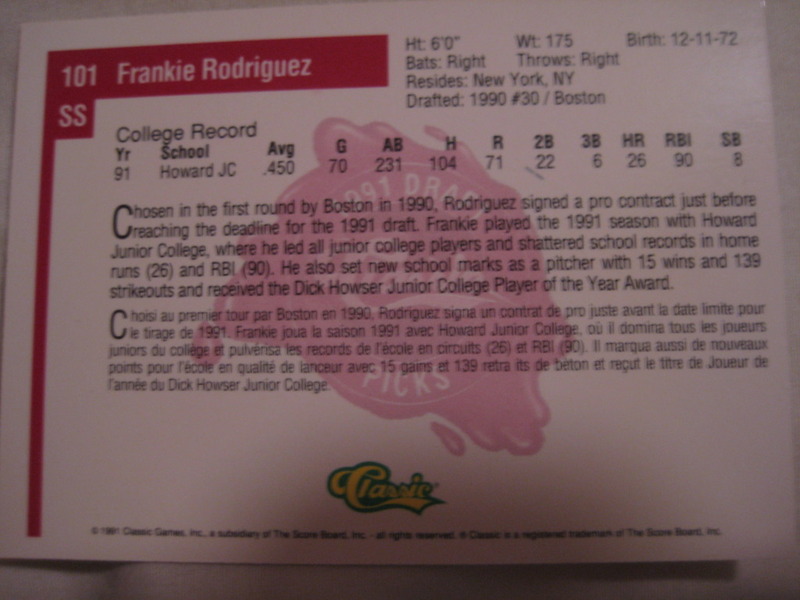 Here is an example, with former Twins pitcher Frankie Rodriguez back when he was drafted by the Red Sox as a shortstop. Most of my cards have backs like this one, in English only. However, some of my cards also have text in French. I couldn't find any info on this set online. Anyone know anything about this set? I love trading with SpastikMooss, of the Great Sports Name Hall of Fame. 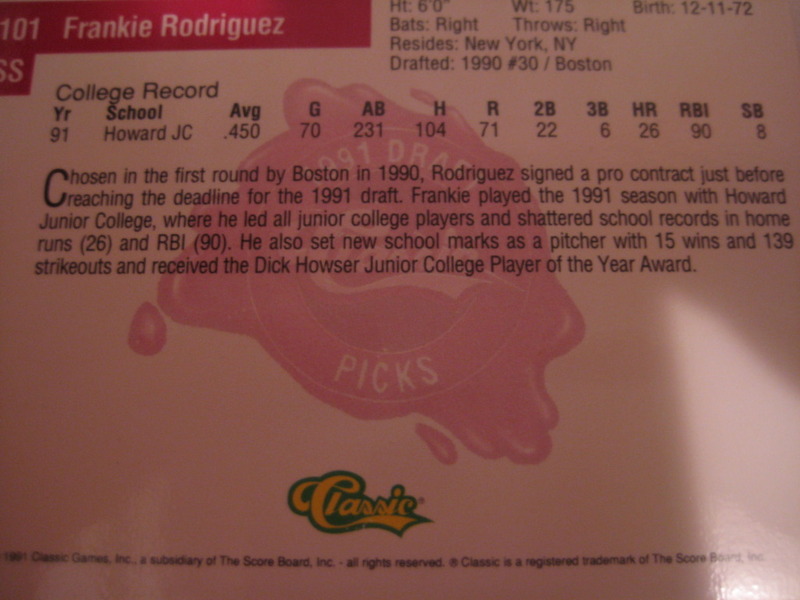 Last year he was collecting the 1989 and 1992 Topps sets. Now he has moved his interest to cards with cups or coolers on them, and getting rid of the 89s and 92s. I took a bunch of those and am sending him some cooler and cup cars. I figure in a year or two, when he gets tired of the cup cards and is on to cards with security guards or cars or whatever, I'll trade him those for the cup cards I don't have. 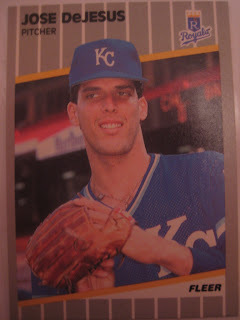 He sent me the last 62 cards I needed to finish the 1992 Topps set. 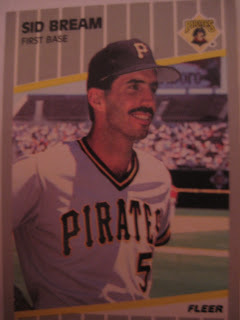 I am now five 1991's away from having every Topps base set card from 1986 to 1992. I'm only about eleven shy from finishing 1993, as well. Here's the most interesting card from the ones I got from Mooss, featuring John Kruk getting out of the dugout in Shea Stadium to go to the on-deck circle; bat in one-hand, half-finished sandwich in the other. I also got most of the 1989 Topps Traded set, about 100 cards worth. I now need only the Ken Griffey Jr. and Randy Johnson cards to complete that set. 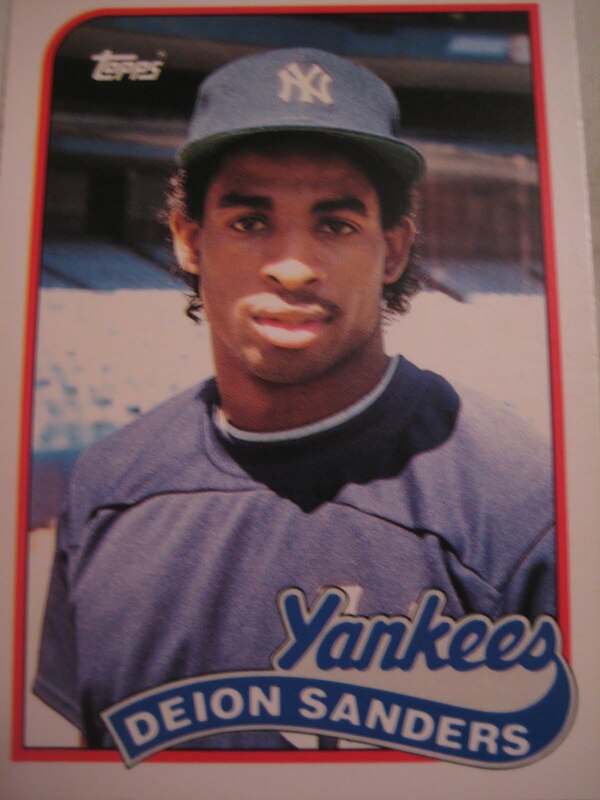 Here is one of the great cards I got from there, featuring the newest Yankee Hall of Famer, Neon Deion Sanders. He is at least the third Yankee in Canton, joining George Halas and John Elway. 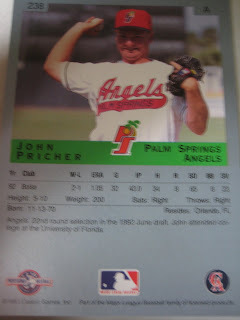 John Pricher pitched four seasons in the Angels organization. In 148 games he had 52 saves and struck out 175 batters in 177 innings. Now the Assistant Director at the Gainesville, Florida Visitors & Convention Bureau and pitching coach at Santa Fe High School, he kindly answered my questions about baseball cards. I was playing in Palm Springs when a kid came up and asked me to sign a card for him. When he passed the card and pen it was a card I hadn't seen. I asked him where he got the card and he said a pack of cards he bought at the store. That was a cool experience. There is one that is a special edition where both the photos are live action shots. I liked that one because it shows me in a couple of steps in the delivery and I hated posing for the cards. No. I did for a bit when I was in Junior High before it became such an industry. I have always felt that I would rather have 5 minutes of someone's time who I enjoy watching time than an autograph. Thanks! This is the one card I have of Pricher, from 1993 Classic Best. It kind of has an action shot on either side. A herpetologist is a scientist who studies amphibians and reptiles. 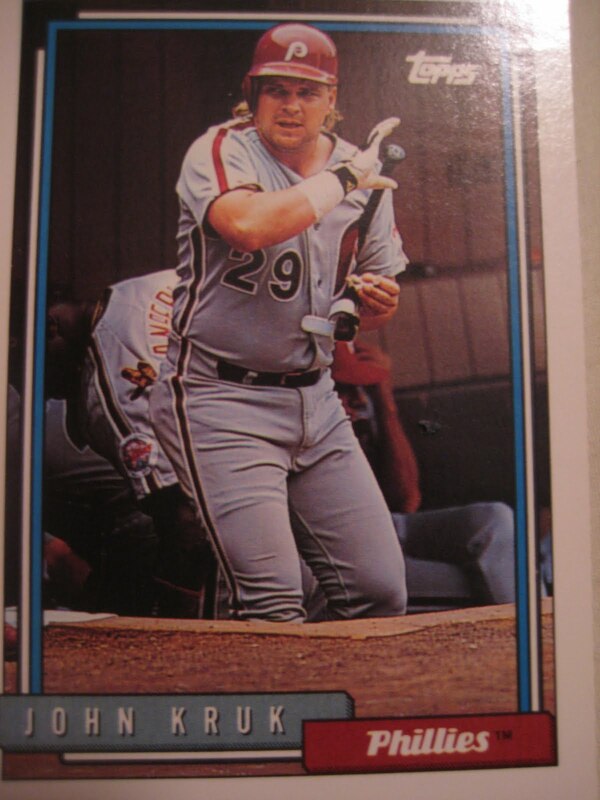 Not too often you learn a new word from a baseball card. 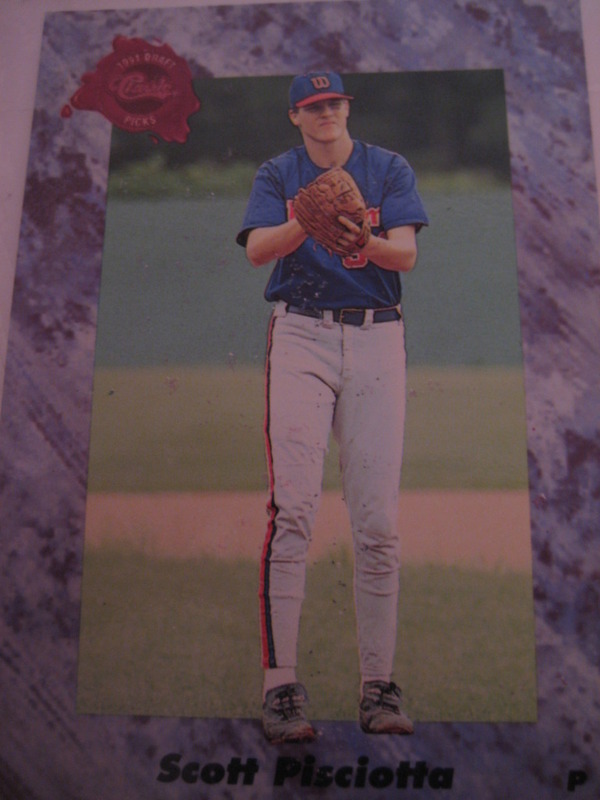 Scott Pisciotta was the Expos 2nd round draft choice in 1991, and pitched five years in their minor league system. 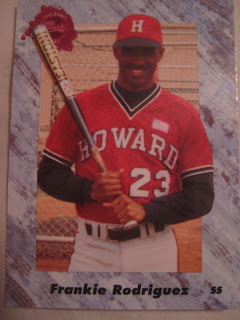 Now a coach for the 643DP Cougars in Roswell, GA and owner of a startup software company, he kindly shared with me his thoughts on baseball cards. "I used to collect cards big time when I was a kid, but around 1990-1991 they started mass producing them and the value went south. I have not purchased any cards since 1991. I do have 24 unopened cases of Topps 1991 cards." 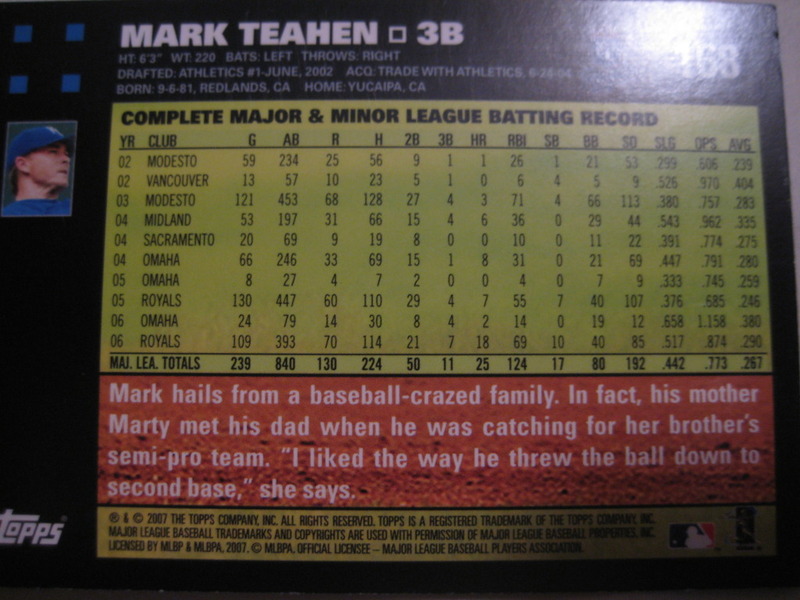 Mark Teahen's mother met his dad "when he was catching for his brother's semi-pro team. 'I liked the way he threw the ball down to second base,' she says." Wink wink, nudge nudge. I wonder if Fleer got the idea for the iconic border color for their 1991 set from the eye-catching lineup card in the Oakland A's dugout. Baseball Almanac has a cool section called US Presidents & Major League Baseball that lists what games each President attended. I decided to check out the games each President since Carter attended and see who did the best. Jimmy Carter only attended one game, the final game of the 1979 World Series. 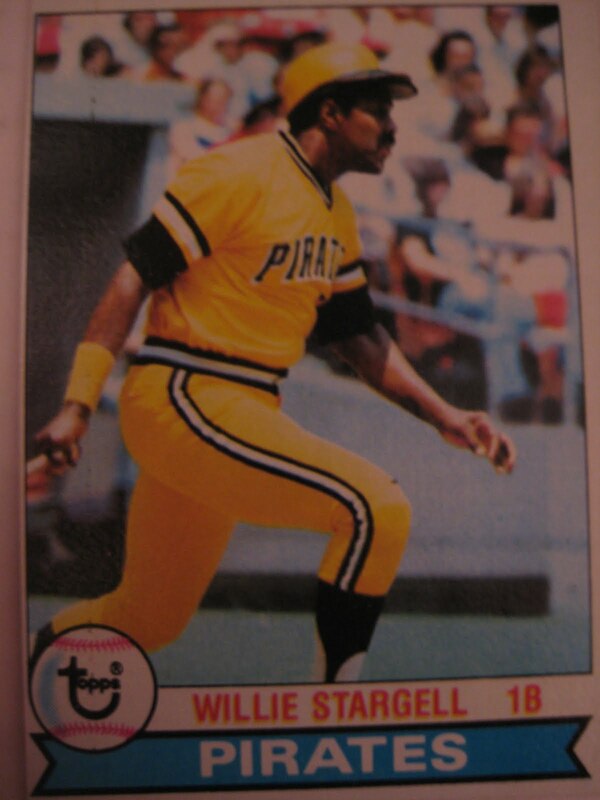 Willie Stargell had the biggest game, going 4-5 with two doubles and a home run. Ronald Reagan attended four games, three of which were Orioles games. 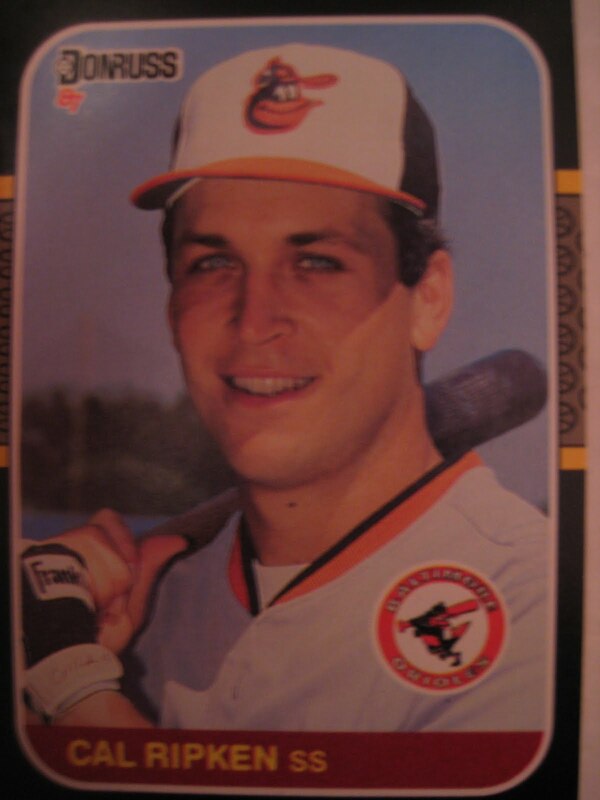 Four Orioles (Ripken, Murray, Dempsey, Shelby) played in all three. None did particularly well, as Baltimore lost all three games. The strongest three game performance was by Cal Ripken, who went 4-12 with 2 RBI. George H.W. Bush attended ten games, including the 1992 All Star game. 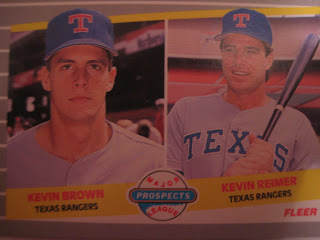 As his son owned the Rangers a lot were Texas games. Charlie Hough pitched in three of the games, allowing 8 earned runs in 20.1 innings; Baltimore closer Gregg Olson struck out 8 batters in 4 innings over four games, and Ruben Sierra went 9-19 with 7 R and 5 RBI. 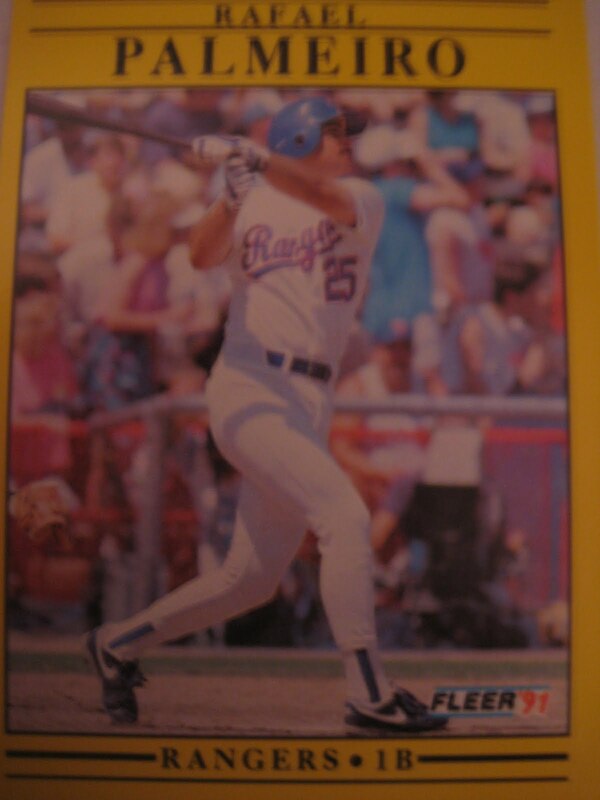 The best performance, however, was Rafael Palmeiro, who went 10-17 with 5 R, 4 RBI, and 2 HR. Bill Clinton attended six games, half of which were Orioles games. Palmeiro played in all three, two as an Oriole and one as a Ranger, and went 5-12 with 4 R, 2 RBI, and 2 HR. 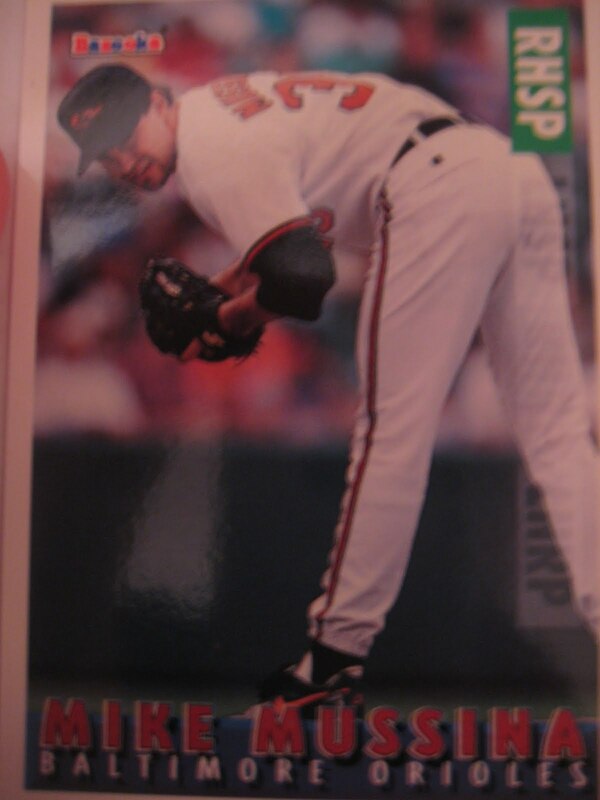 Mike Mussina won two of those games, allowing 4 ER in 14.2 IP. George W. Bush attended nine games. Roger Clemens and Mariano Rivera throttled the Diamondbacks in Game 3 of the 2001 World Series. Jacque Jones went 3-6 with a run scored and an RBI. 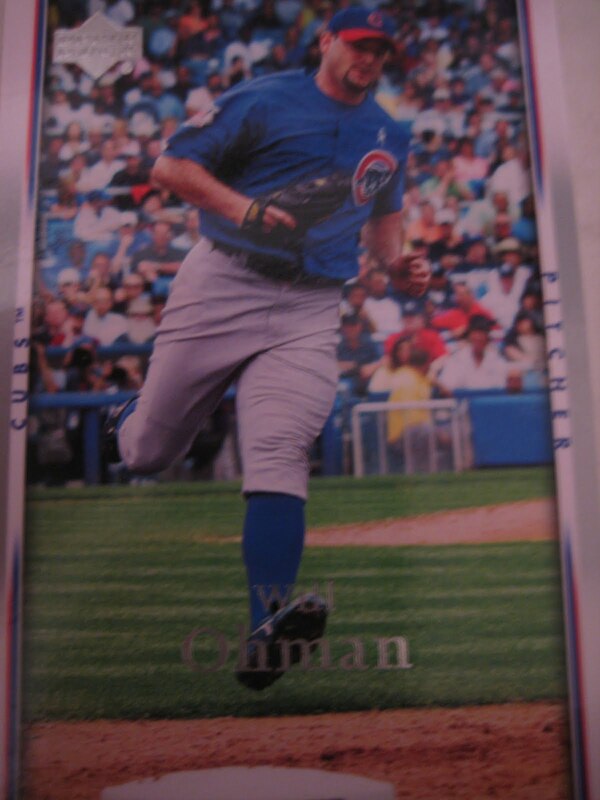 But most impressive was Will Ohman, who pitched in three games, two for the Cubs and one for the Braves. He pitched 1.1 innings, faced just three batters - and earned two wins! So far, Barack Obama has attended the 2009 All Star game and two Nationals games. Roy Halladay started the All Star Game and one of the Nats games, allowing three ER in nine innings. Want to stand in the same place as a ballplayer? 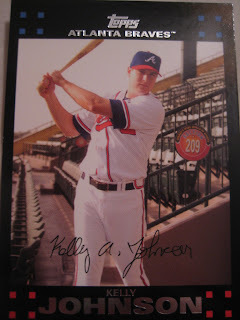 Got to section 209 of Disney's Wide World of Sports, and you can stand in the exact same spot that Kelly Johnson posed in for his 2007 Topps card. 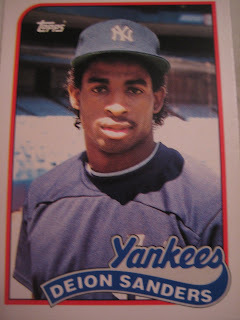 A fifth round draft choice of the Yankees in 1991, Lyle Mouton was traded to the White Sox in 1994 for Jack McDowell. 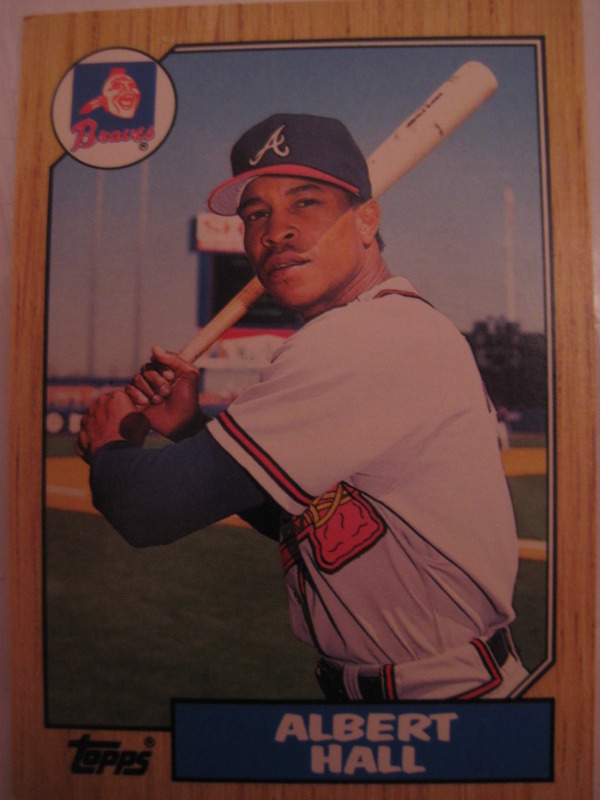 He went on to play seven seasons in the major leagues for Chicago, Baltimore, Milwaukee and Florida. 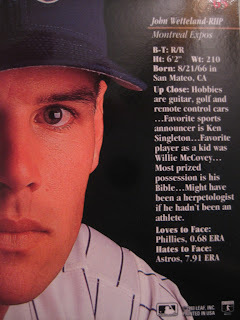 Now a Professional Baseball Expert at ShapeFit LLC, he kindly answered my questions about baseball cards. "I don't collect cards but have a few(besides my own) that I have acquired of teammates. I have them for memories for my kids and hopefully for grandkids down the road. I have had fun with some of the photo shoots for the cards. Not all were action shots but some were actually planned by the photographer. Those were mostly the minor leagues cards. My favorite card is one of me in my Chicago White Sox grey uniform where I am squatting like a catcher while in the batter's box against the Angels. 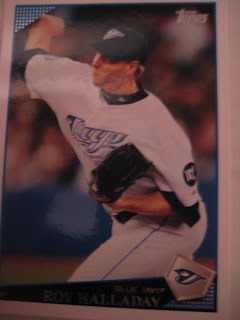 The most unique card is one of me with James Mouton's signature. Its one of the mistake cards that may one day be valuable." 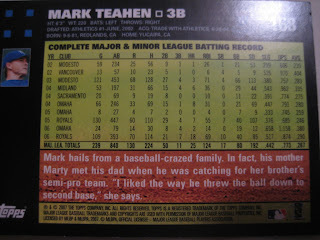 2007 Topps had some interesting text on the back of their cards, but too frequently they were careless with it. Hey proofreader, it's "make do," not "make due". "Dave called 2006 'definitely my best season. I had a lot more power - for me - and hit more home runs and doubles." 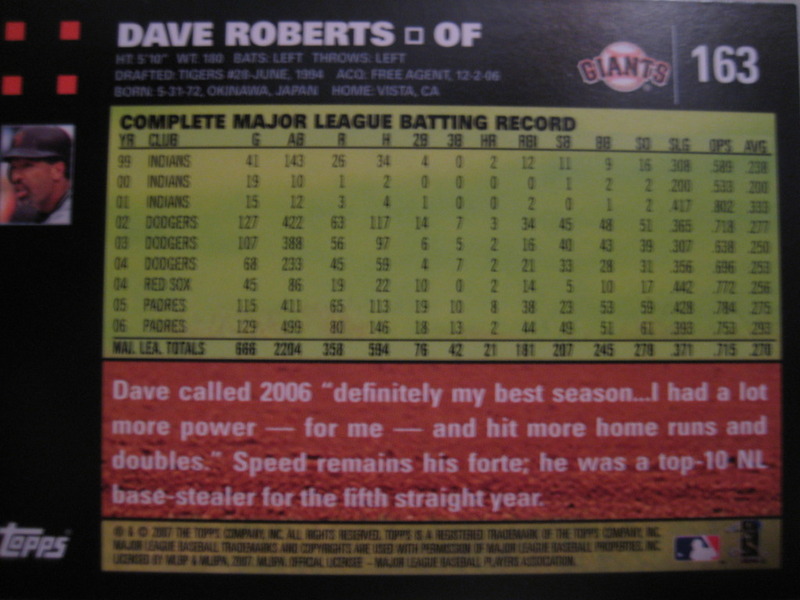 Actually, in 2006 he hit 1 fewer double, six fewer home runs and his slugging percentage went down 37 points. 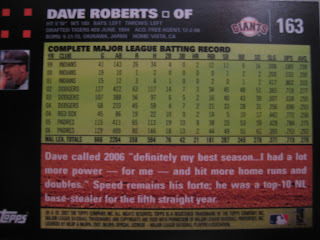 I think he was talking about 2005 and Topps decided to change it to 2006 and hope no one actually looked at the stats. 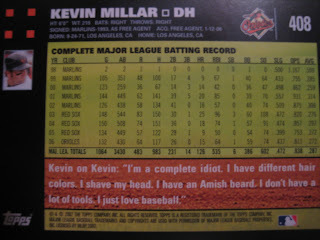 In the text Millar says he has an Amish beard. I guess, judging by the picture, that means the Amish are clean-shaven? 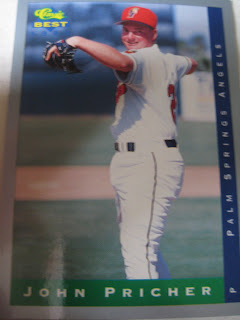 Signed by the Rockies as an undrafted free agent in 2002, Doug Bernier worked his way through the organization, making the major leagues with Colorado in 2008. He spent the last two years in the Yankees and Pirates organizations, and is back with the Yankees for 2011 spring training. He kindly answered my questions about baseball cards. "I don't collect cards anymore but I did when I was younger, probably up until I was around 15 or 16. I used to walk to a mini market across the street and get a pack of cards with the stale gum and put them with my collection. 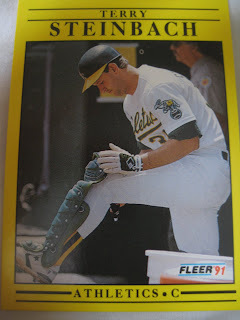 Every Christmas from when I was young my parents would get me a complete set of Upper Deck for that particular year, it was always a great present. 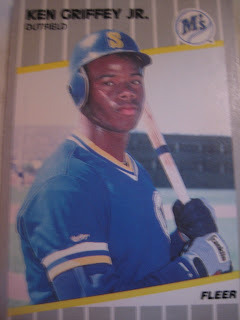 My favorite card is still my Ken Griffey Jr. Rookie card, Upper Deck. I didn't get many autographs when I was younger but I would take some cards (that weren't in the complete set) and put them in plastic sleeves that would be bound together in a binder. I would separate the cards by teams, and would hope to get anyone from the Giants since that was my favorite team. 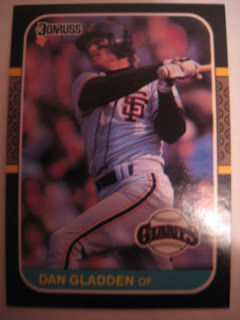 I guess the only story that may be of interest with cards is it seems like I have more Dan Gladden cards than anyone. I felt like I was getting at least one of his cards in a random pack from the mini market every trip for a good couple of months." Thanks! 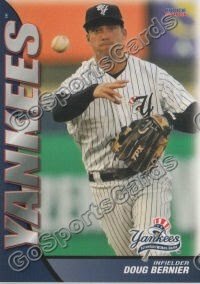 Here is a card of Bernier on the 2009 Scranton Wilkes Barre Yankees. 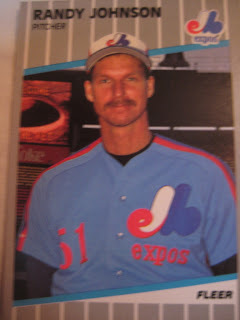 Stan Hough played eight seasons in the Mets and Astros organizations, and has since embarked on a long and successful career as a minor league coach and manager. Currently the manager of the American Association's Fort Worth Cats, whom he led to the league championship in 2006 and 2007, he kindly answered my questions about baseball cards. 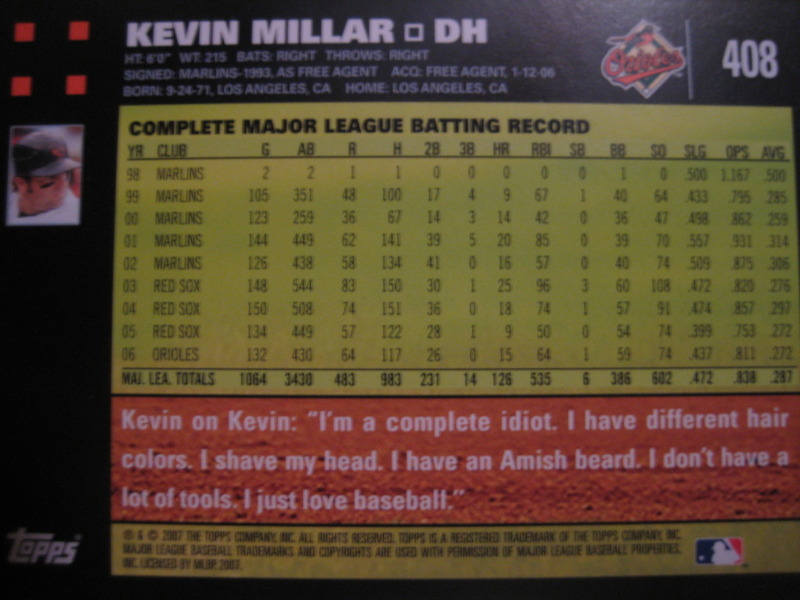 "I am on plenty of the minor league cards. I don't have any particular story to tell you about any of them. I like checking out the cards often. Although I did not make it to the major leagues a number of my friends did and I enjoy revisiting the cards because it brings back pleasant memories of that time." Pat Austin played six seasons in the Tigers, Orioles, Cardinals and Phillies organizations, stealing 193 bases in that time. 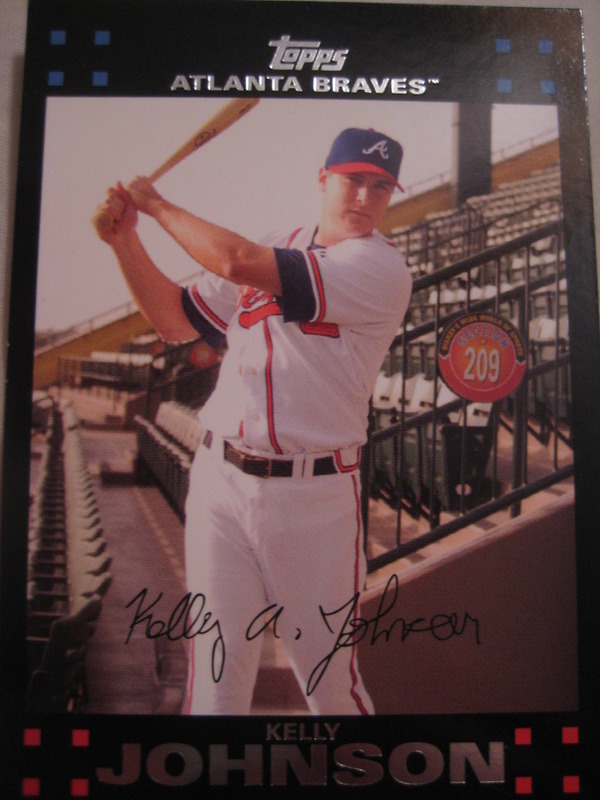 Now a manager at Verizon Wireless in Alpharetta, GA, he kindly answered my questions about baseball cards. "I no longer collect cards. 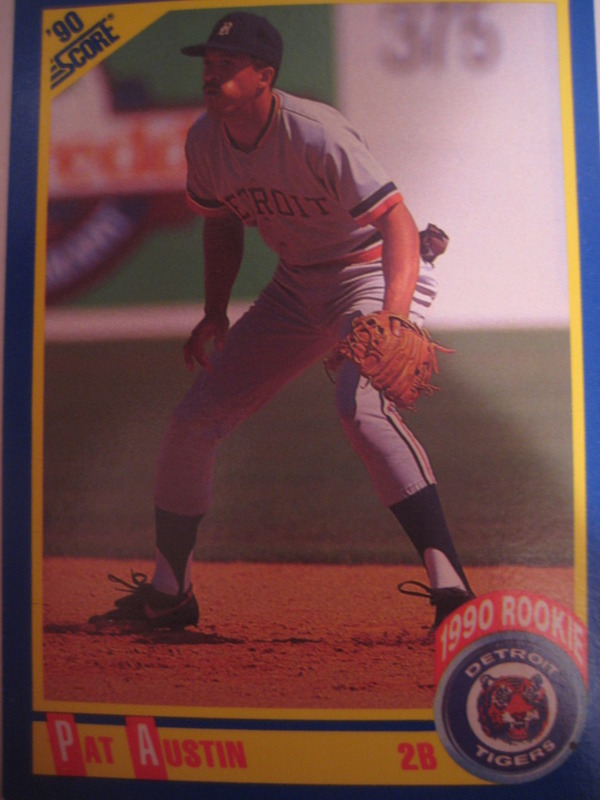 My fav of me is 1990 Score rookie card. 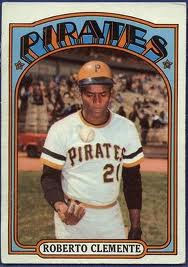 My other is Roberto Clemente." Check out the little old glove being worn by Paul McAnulty on this 2007 Topps card. It's so small it doesn't even cover the farmers tan on his wrist! 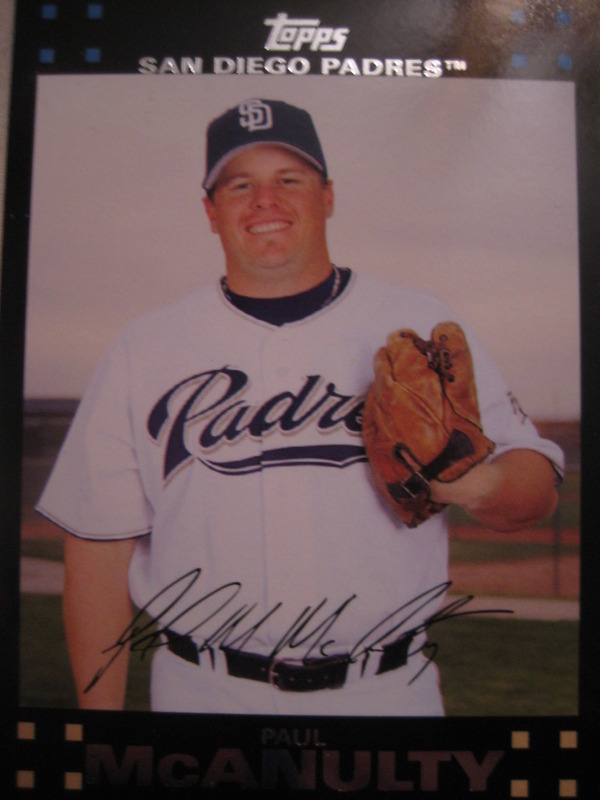 This is the same time David Wells was a Padre - I wonder if McAnulty is wearing Wells's Babe Ruth glove? 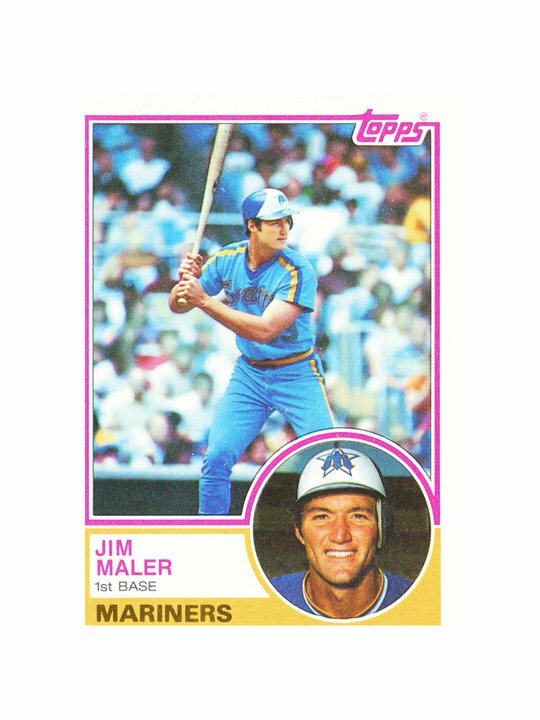 Jim Maler played nine seasons of professional baseball, including three years in the major leagues with the Seattle Mariners. Now the President of All Florida Pest Control & Fertilization, he kindly shared with me a great baseball card story.
" 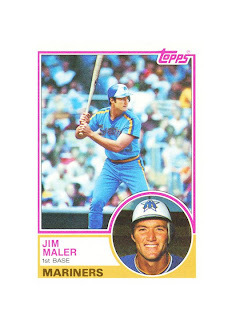 --Baseball Card story: In 1983 when I was playing for the Seattle Mariners, we were in Baltimore for a series against the Orioles. We were staying at a very upscale local hotel. One of the days before a night game, I was sitting in the courtyard by myself, just hanging out and watching the people walk by. A young boy probably 8 or 9 years old plopped down next to me with a stack of baseball cards in his hands. He was sorting through them one by one and looking intently at all the men that walked by. I said hello to him and asked him what he was doing. He said he was looking for "Professional Baseball Players" to sign the baseball cards that he had. I told him that sounded like fun and asked him if I could see his collection. He proudly handed me his stack of cards and we began to look at them together. I told him he had a really nice collection. 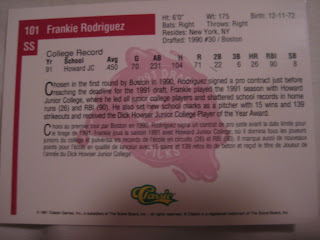 As we were looking through his cards, I came across my Topps rookie baseball card. I pulled out a pen and signed the card and gave it back to him. He looked at me like he was going to kill me. What an angry little face he had. I had just ruined one of his prized possessions. I just smiled at him as he looked at the card and then at me, back at the card and back at me until he finally realized it was me on the card I had just signed. His angry face turned red and then he broke out into a very big and embarrased smile. He thanked me as I got up and walked away. I thanked him for having my card in his collection and wished him luck in his pursuit of more autographs. --My favorite baseball card of myself is my Topps Rookie Card. I have attached a copy of it. 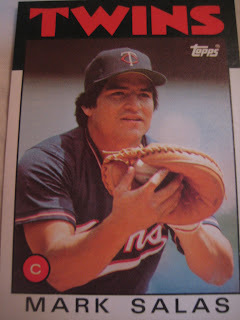 --I do not collect baseball cards but I am amazed that even 30 years after I played in the Major Leagues, I am still getting requests in the mail each week for my autograph." 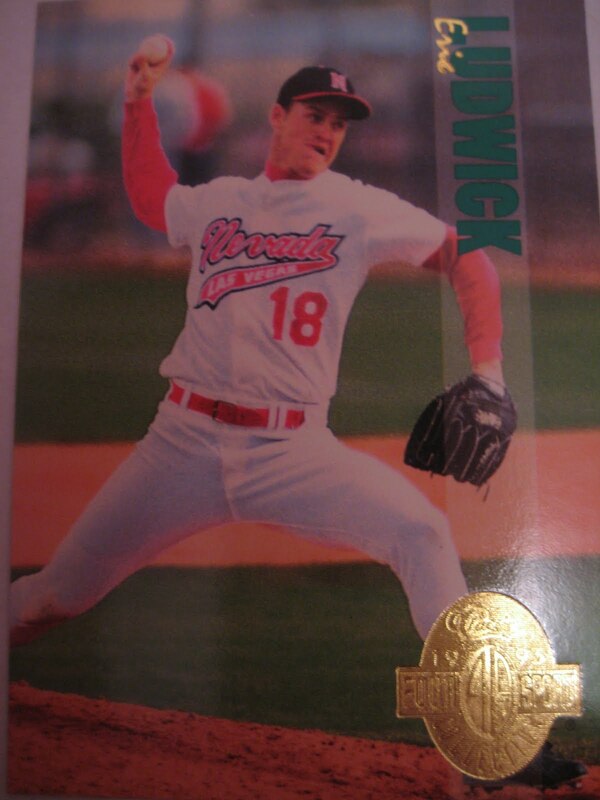 Eric Ludwick pitched four seasons in the major leagues for the Cardinals, A's, Marlins and Blue Jays. Now working in the finance department at Findlay Toyota in Henderson, NV, he kindly answered my questions about baseball cards. 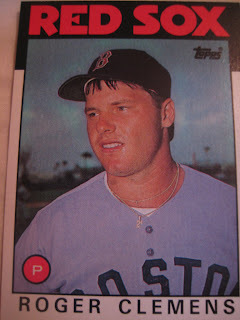 "I have about 90 Griffey Upper Deck rookies. 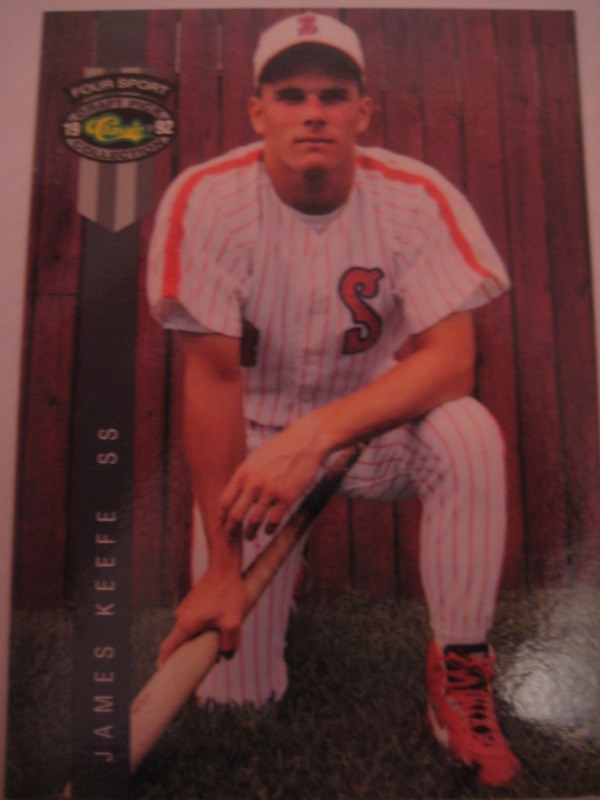 My favorite card of myself is the 93 UNLV card that was done, can't remember the company, it was right after I was drafted. I used to collect, now I've given them to my son Tait!" Troy Cameron played eight seasons in the Braves, Indians, Rockies, White Sox and Padres organizations, hitting 88 home runs. 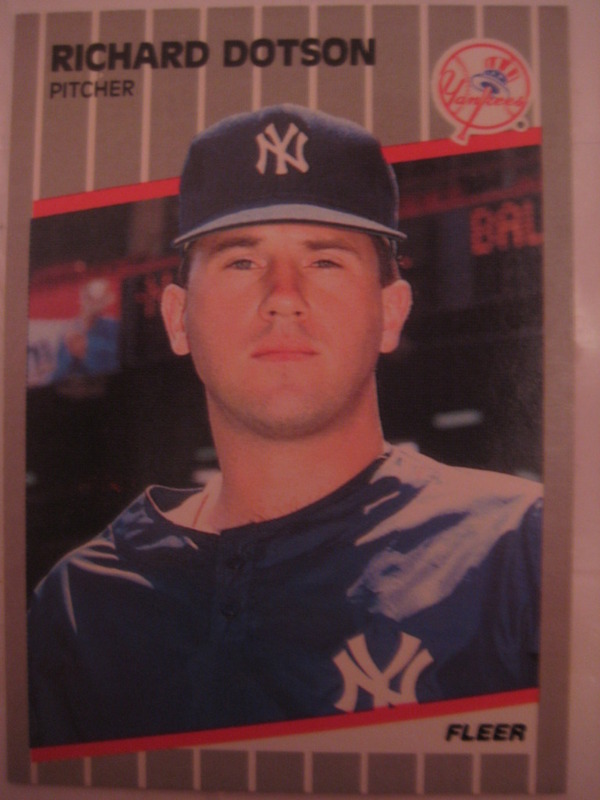 Now a distributor at Spinal USA, a medical device company, and a real estate agent at Whitaker Realty, owned by former Yankee Steve Whitaker, he kindly shared with me some baseball card stories. 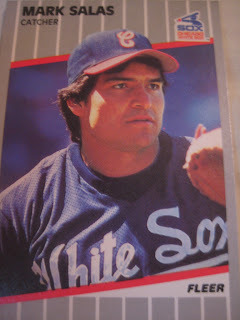 I used to collect cards when I was younger and its funny how I associate years in the past with the way that year's baseball card looked like." I still haven't posted all the great cards I got a while ago from Smed. This classic from 1991 Upper Deck features Ken Howell arguing with the ump in San Diego. 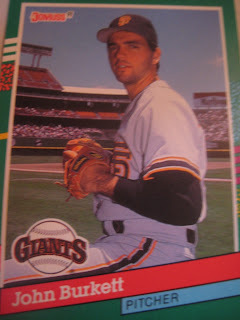 Howell pitched in one game in San Diego in 1990, on May 16. So what happened? Turns out he was ejected for throwing gum at the umpire! "Howell walked Fred Lynn on four pitches. Howell walked Mike Pagliarulo. And then, he said, he "lost his composure." He said he felt that, at that point, plate umpire Jim Quick had changed his definition of the strike zone. "I thought we had had a real good relationship," Howell said. After the walk to Pagliarulo, Howell had words with Quick. Then he threw his gum. Leyva came out of the dugout fast, walking briskly to the mound while signaling for Parrett. 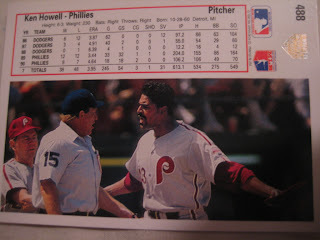 As Howell stormed off, dugout-bound, glove in one hand, cap in the other, he hurled more invective at Quick. That's when Quick ejected him, even though, of course, he already was out of the game. For a moment, the two men were chest to chest, but Leyva and his dugout assistant, Hal Lanier, shoved Howell into the dugout." Jamie Keefe played six seasons in the Pirates and Padres organizations. 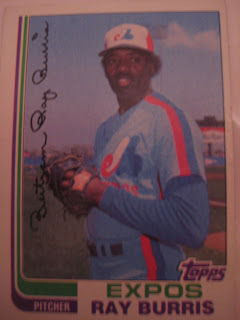 After his retirement, he became a minor league manager. The third-winningest manager in Frontier League history, he is now the General Manager and Field Manager of the Pittsfield Colonials of the Can-Am League. He kindly shared with me his thoughts on baseball cards. 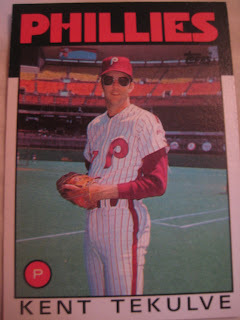 "I collected cards in the 80's and low 90's. Have not looked through them for years though. I have a few cards I enjoyed while coming up through the ranks. 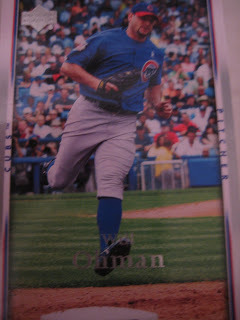 A few funny pictures and a misprinted name." One of the coolest cards in my trade with Johnny of Cards from the Quarry was Randy Johnson's 1989 Fleer rookie card. 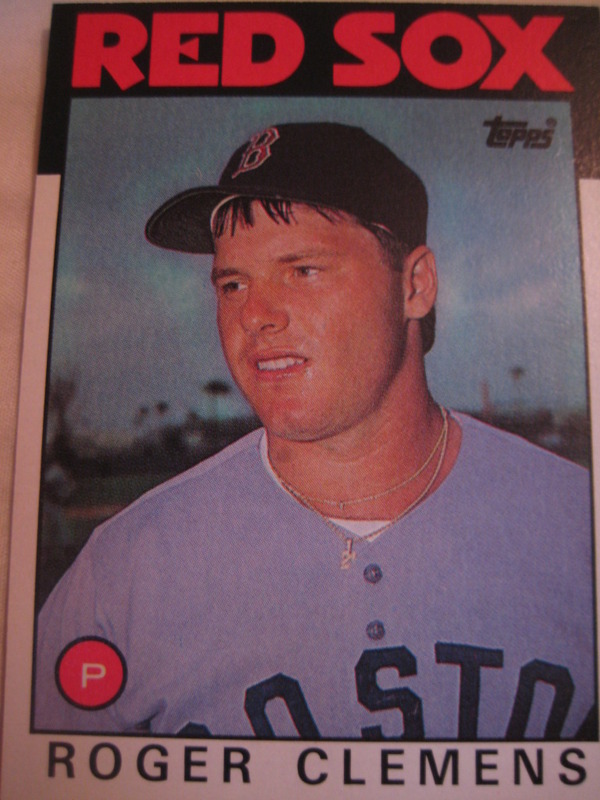 This card is famous because the Marlboro logo was airbrushed off the card, but some cards exist with the logo visible. The logo would have been over his left shoulder. 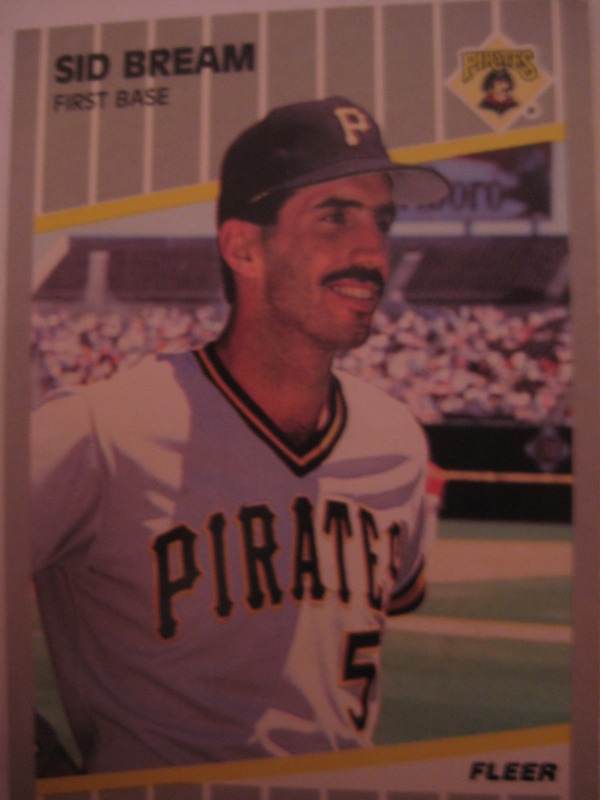 As I was looking through the other cards Johnny sent me, I noticed this 1986 Topps Kent Tekulve card actually had that Marlboro logo visible, but the word "Marlboro" was airbrushed away! I decided to look at more cards to see how often this occurred. For Fleer, it looks like the Big Unit's card is the only one where Marlboro was brushed out - here are four other cards from the same set where the Marlboro logo is visible. Richard Dotson's card even shows the Marlboro Man lighting up! 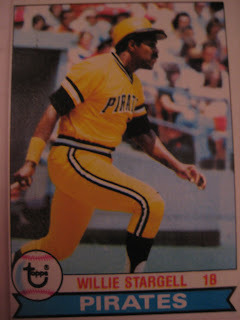 Tekulve's 1986 card is not the only card Topps airbrushed. 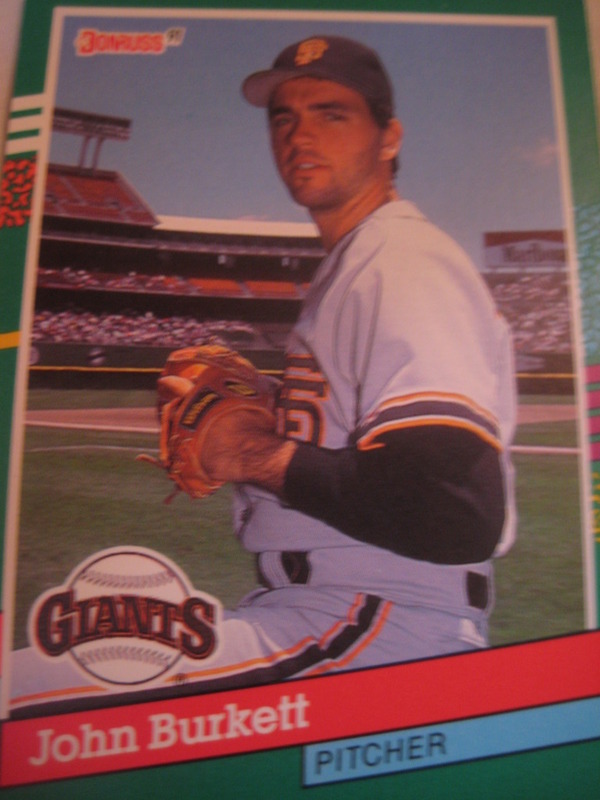 A year earlier, they did the same to an even larger Marlboro sign on Greg Harris's card. Topps's fear of the Marlboro logo was apparently short lived. 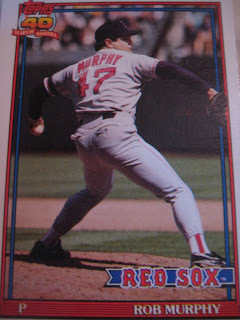 In 1982 the Marlboro logo was clearly visible on Ray Burris's card. 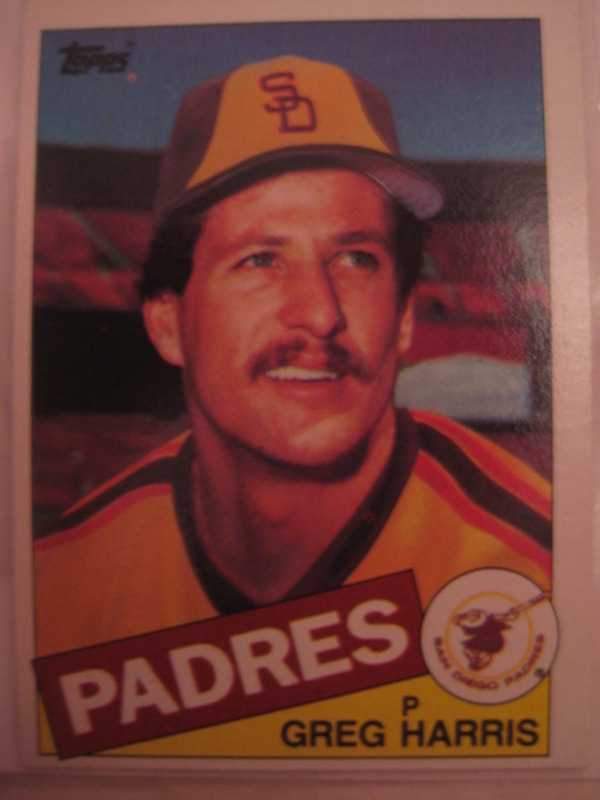 Meanwhile, by 1987, Topps was apparently OK with showing the Marlboro logo again. Finally, here's one last card from the quarry, showing that Donruss, at least, had no shame about promoting Marlboro on their cards. Johnny from Cards from the Quarry recently put a big dent in my needs from the "overproduction era". I now have every Topps card from 1986-1990. Johnny sent me the last 11 cards I need from this set, including Roger Clemens's second year card and Mark Salas's rookie. This one should have been a completed set too, but I accidentally left three cards off of my wantlist. (78, 127, 292). We're currently working on a second trade to get me over the hump with this set. He has a ton of doubles from this set so anyone looking to complete it should check him out. 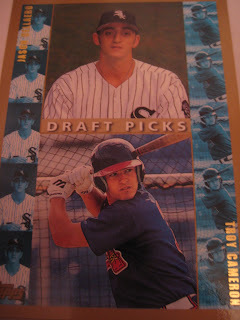 Highlights of the over 100 cards he sent me from this set include my first ever Ken Griffey Jr. rookie card and that ever-elusive catcher, Mark Salas. 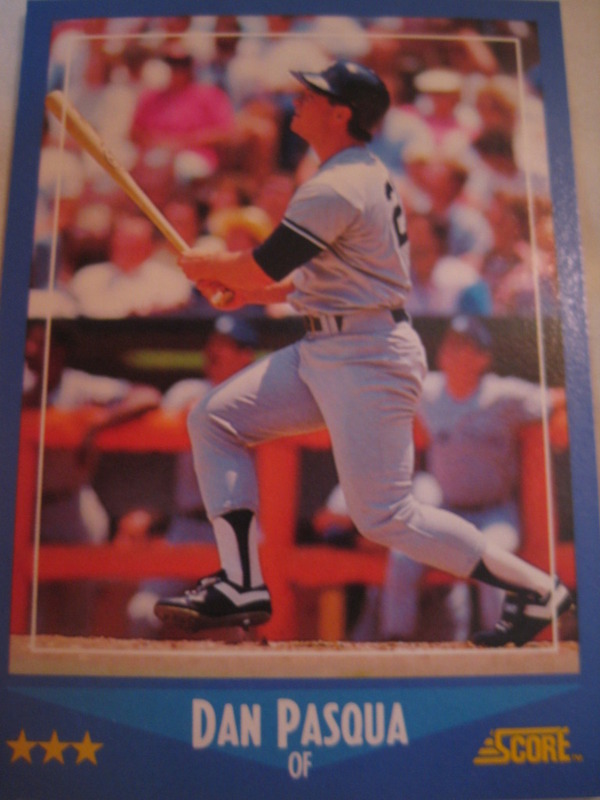 He sent me a huge chunk of 1988 Score, including the last Yankee I needed in the set, Dan Pasqua. I only need three more, anyone have these? 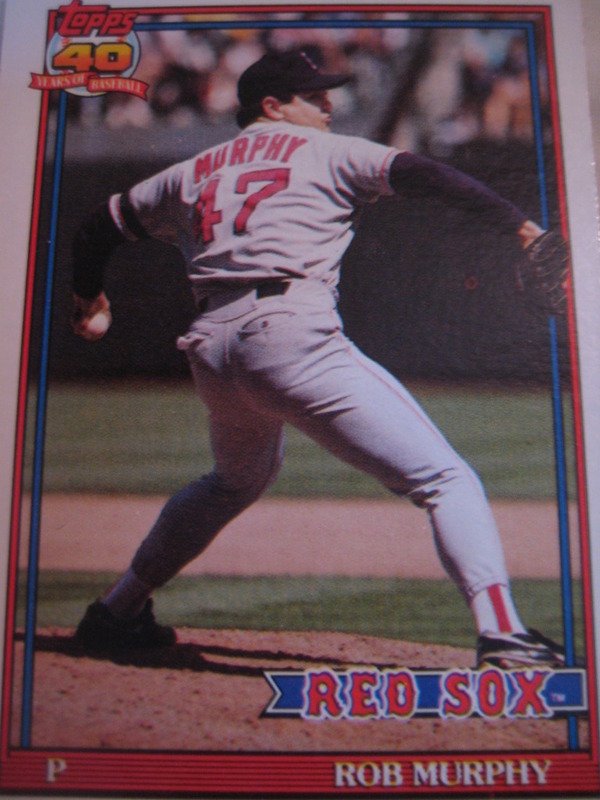 He sent me three 1991 Topps cards including this nice action shot of Rob Murphy, leaving me four away from set completion.